Brief: Client requested ultra bright new signage programme strictly adhering to company corporate identity. 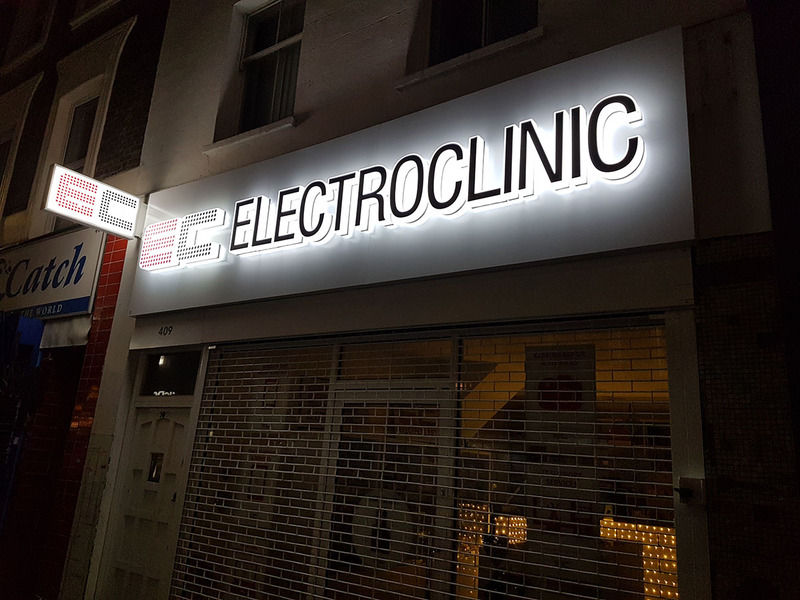 Solution: A series of three-dimensional built-up Perspex letters and logo, all internal illuminated via concealed 12V LED modules. Projecting sign built to match.